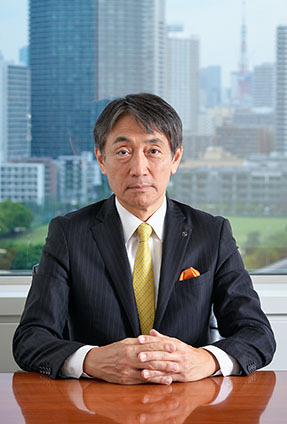 Message from the CEO｜Nippon Light Metal Holdings Company, Ltd.
We would like to express our deepest sympathy for those who were affected by the Heavy Rain Event of July 2018. We sincerely hope for the earliest possible restoration of the areas affected by the disaster. At the NLM Group, we have decided to make monetary donations and engage in activities including the provision of relief supplies. In addition, as described in a special feature in this report, the NLM Group addresses issues on water and infrastructure through its business. We will continue striving to improve our products and services so that they will be as helpful as possible for customers’ disaster prevention and disaster control. How is the environment surrounding the company? How are you responding to changes? The world today is fraught with issues. There exist political and geopolitical risks attributed to changes in the external environment that we cannot change by ourselves, such as the escalation of trade friction that was triggered by the trade policy of the Trump administration of the United States, rapid fluctuations in aluminum prices on a global level, and the rising crude oil prices attributed to the worsening situation in the Middle East. However, we never use such changes in the external environment as an excuse. At the NLM Group, we think about how to deal with the situation on our own by mobilizing the capacities of Team NLM to achieve growth, and then we put the ideas into practice. Seen from a different perspective, trade friction brings out the importance of aluminum. The importance of aluminum will never be reduced. We will continue to execute the measures for building a firm business foundation, on which we have been working, aiming to achieve further growth as a corporate group that continues to create new value for customers. I believe that the future is not something we wait for, but something we create on our own. What are your initiatives for SDGs? Above all, what initiatives do you take for reducing greenhouse gas emissions? Our company survives thanks to society. We are surviving thanks to the support of our stakeholders and partners, including our employees and their families, not to mention our shareholders, customers, and people from local communities in areas where our offices and factories are located. We must never forget this. For the benefit of these people, we contribute to solving social issues, including environmental problems and issues in considerations for human rights and diversity that are included in the SDGs, from medium- and long-term perspectives, aspiring to build a sustainable society. We believe that these activities are included in important CSR activities that the NLM Group is required to implement. SDGs cover a wide range of global and social issues. Among them, one urgent and important goal is to build a so-called low-carbon society. At the NLM Group, we have been executing a voluntary action plan to reduce greenhouse gas emissions, setting FY2020 as the target year. Because achieving this target seems likely now, we have decided to launch an initiative to further reduce greenhouse gases by setting new goals and specifying FY2030 as the target year, based primarily on the Paris Agreement that was adopted at COP21 in 2015. We will continue our efforts to help build a sustainable society that coexists in harmony with the global environment. 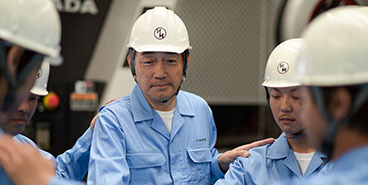 You always start by talking about safety when you give a speech in front of employees, such as the New Year’s greeting. Could you tell us your thoughts about safety once again, including the meaning of talking about safety at the onset? I keep telling them again and again that safety is our top priority. A company consists of people. People are assets, or what we might call “human assets.” Our ultimate goal is to allow our employees as human assets to have job satisfaction and achieve happiness for employees and their families. This goal can never be achieved without a safe environment where employees can work with a sense of security. We aim to achieve zero accidents to enable every single employee of the group to return home uninjured. Each employee should work with a strong belief that “We can and we must definitely achieve zero accidents.” I think this is more important than anything else. It is the final year of the current midterm management plan (mid-term plan). Could you tell us about its progress? Please also tell us what lies ahead of the plan. I believe that we made steady achievements last year as the second year of the mid-term plan, while facing increasingly fierce price competition in addition to the rising raw fuel prices. To “create new products and business models by strengthening cooperation within the Group,” which is the first basic policy under the mid-term plan, we created a large number of new products with high added value in fields where innovation is making progress, by exploring the strengths of cooperation within the Group from a customers’ perspective and making proposals by anticipating customer needs. For example, we focused on the fact that heat release, as well as weight reduction, is an important issue for electric vehicles, and began to sell a battery cooling plate that combines the Group’s technologies, including those in design, alloy development, and processing. For “business development through strategies by region and by sector,” which is the second basic policy under the mid-term plan, we sought to maximize the profitability of investment by selecting fields as destinations of management resources investment based on a combination of region and market. A specific example in Japan is the addition of production lines for non-CFC, heat-insulating, non-flammable panels reflecting the tendency to place more emphasis on environmental considerations and the fireproof performance of structures. Overseas, we set up a marketing base in North America, thereby establishing a foothold for business expansion. In India, the joint venture that we established in the previous year began manufacturing aluminum paste for coating materials. Moreover, as an example of our measure “strengthening of corporate culture (strengthening of business foundations),” the third basic policy under the mid-term plan, Toyo Rikagaku Kenkyusho Co., Ltd., which engages in plate processing, sought to improve the yield rate, further streamline its production system, and take other steps with support from the overall Group, which resulted in a significant increase in its earnings. In the final year of the mid-term plan, we are making group-wide efforts to achieve the targets. The next year will be our milestone year, when Nippon Light Metal Co., Ltd. will celebrate its 80th anniversary. I expect that the business environment surrounding the Group will be increasingly difficult, with fluctuations in raw fuel prices and other events. 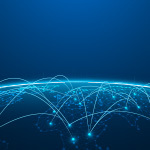 In this environment, the NLM Group will identify its strengths based on the criterion of what customers need and cultivate fields where the Group’s strengths and customer needs intersect, even more deeply. We will thus seek to operate new businesses with higher added value and build the foundation of our growth. It is the power of the working generation -- above all, the power of the young generation including this year’s new employees -- that will push forward the above initiative beyond the 80th anniversary. I believe that the sustainable growth of the NLM Group, which is unaffected by the external environment, will be achieved by combining the power of the human assets of Team NLM and the power of young human assets, who will open the door to the future. Nippon Light Metal Holdings Company, Ltd.
Nippon Light Metal Holdings Co., Ltd. All rights Reserved.